These three little dolls are between 8 and 11 cm tall. They are knitted flat in one piece with the shawls being sewn on afterwards. Decorate them traditionally as I have done or as the fancy takes you. 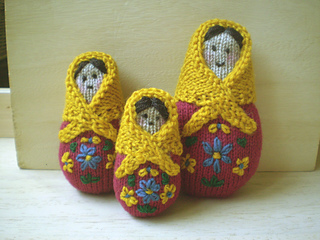 Apologies to all who have downloaded this pattern only to find the instructions for the smaller dolls missing. 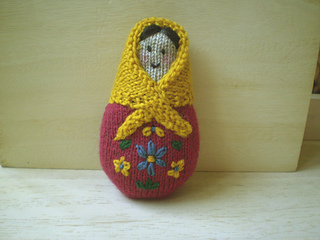 I have now uploaded a new version of the pattern with all the dolls present and correct!